Faculty in the Department of Politics shared thoughts about their recent work. “We know that nonhuman species are going extinct at a rate that far exceeds the normal background rate of evolution due to the activities of some humans, and that this mass extinction event is affecting ecological and political webs of many different kinds. But politics does not and should not proceed smoothly from the invocation of crisis to technical solution, and so what interests me in the book is what comes in between those two steps. Biodiversity loss as a political project has often involved a politics that either diverts attention from the underlying causes, or incorporates it into forms of governance that are perhaps as debilitating as the systems they need to change. I wrote this book to understand how it came to be that people might be committed to ecological and interspecies justice, yet be alienated from environmentalism, and what role the evolution of biodiversity governance has played in that split. Other publications include “Interspecies Relations, International Relations: Rethinking Anthropocentric Politics” (Millennium – Journal of International Studies, 2014) and “Pain, Power, and the Interspecies Politics of Foie Gras” (Political Research Quarterly, 2011). Choose a publication below to learn more. Bio | Youatt received his Ph.D. from the University of Chicago in 2007. Youatt is interested in questions of agency and power in human-nonhuman relations as they relate to political life and thought. His current research explores the intersection of interspecies relations and international relations in American borderlands. Faculty in the Department of Psychology shared thoughts about their recent work. Castano was also recently invited to speak at Stanford University’s School of Medicine about his recently celebrated article, co-authored with David Kidd, 2014 Psychology alumnus and current postdoctoral fellow (“Reading Literary Fiction Improves Theory of Mind,“ Science Magazine, 2013). Watch the lecture below. Bio | Castano received his PhD from the Université Catholique de Louvain. His work revolves around three main areas, Collective Identity, Intergroup Relations and Morality; Social Identity, Ideology, and the Human Condition; and Empathy and Theory of Mind. He has authored more than 50 publications, mostly scientific articles in highly regarded journals, and consulted with international organizations, governments and other institutions. His recent work on the effects of literary fiction on Theory of Mind was published in Science and received media coverage worldwide. Currently, Castano serves as co-chair of the Psychology department, representing the Cognitive, Social, and Developmental area. Faculty in the Department of Sociology shared thoughts about their recent work. Other publications include Shifting Frontiers of Citizenship: The Latin American Experience (Brill, 2012) and Democracy in Latin America, 1760-1900: Volume 1, Civic Selfhood and Public Life in Mexico and Peru (University of Chicago Press, 2003). Bio | Forment received his PhD from Harvard University. His research interests include governmentalized populations and plebeian citizenship across the global South; neoliberalism and public life today; civil society across the post-colonial world; citizenship: ancient, modern and contemporary; and, nationhood and selfhood in 19th-century Latin America. Currently Forment serves as Director of the Janey Program in Latin American Studies. Faculty across NSSR have published a variety of articles and books in the past year, and shared thoughts about their work with Research Matters. Public Seminar, an online exchange of critical perspectives on contemporary social issues, began at the New School for Social Research and now has contributions and readers from around the world. Several NSSR faculty have shared thoughts on pressing matters, have debated healthily with their peers, and have used Public Seminar as a tool for pedagogical experimentation. Here are just some of many contributions made by our faculty in the last year. Excerpt: “Racialized chattel slaves were the capital that made capitalism. 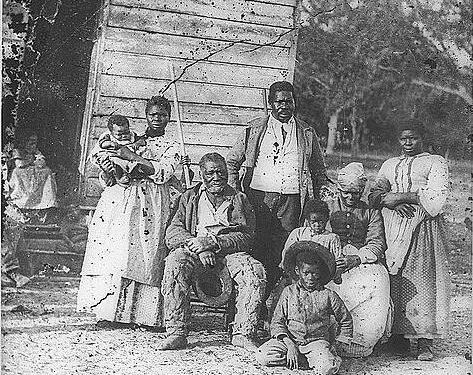 While most theories of capitalism set slavery apart, as something utterly distinct, because under slavery, workers do not labor for a wage, new historical research reveals that for centuries, a single economic system encompassed both the plantation and the factory. At the dawn of the industrial age commentators like Rev. Thomas Malthus could not envision that capital — an asset that is used but not consumed in the production of goods and services — could compound and diversify its forms, increasing productivity and engendering economic growth. Yet, ironically, when Malthus penned his Essay on the Principle of Population in 1798, the economies of Western Europe already had crawled their way out of the so-called “Malthusian trap.” The New World yielded vast quantities of “drug foods” like tobacco, tea, coffee, chocolate, and sugar for world markets. Europeans worked a little bit harder to satiate their hunger for these “drug foods.” The luxury-commodities of the seventeenth century became integrated into the new middle-class rituals like tea-drinking in the eighteenth century. By the nineteenth century, these commodities became a caloric and stimulative necessity for the denizens of the dark satanic mills. The New World yielded food for proletarians and fiber for factories at reasonable (even falling) prices. The “industrious revolution” that began in the sixteenth century set the stage for the Industrial Revolution of the late eighteenth and nineteenth centuries. Read the full piece at Public Seminar. Bio| Julia Ott is Associate Professor of Historical Studies and Co-director of the Robert L. Heilbroner Center for Capitalism Studies. She received her Ph.D. from Yale University. Ott was a Visiting Scholar at the Russell Sage Foundation in 2009-2010. Ott specializes in economic history and political history. She is the author of When Wall Street Met Main Street: The Quest for an Investors’ Democracy (Harvard University Press, 2011).